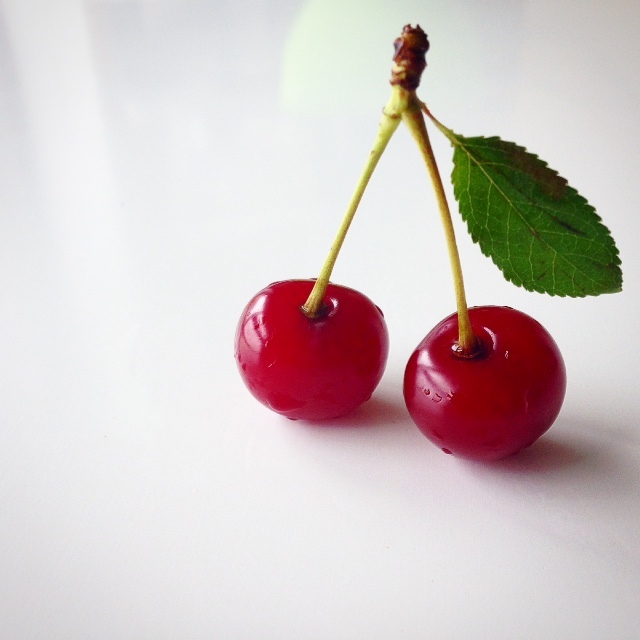 Sweet Tooth: Tart Cherry Cobbler – Pao Says, "Open Wide!" Tuesdays during the Summer and Fall are Farmer’s Market days up here in the heights. I typically don’t get the time to peruse the fresh and beautiful local options available. However, last Tuesday, I had a patient cancel in the afternoon so I ran over to see what they had for the day. The thing that caught my eye was the crate of bright red tart cherries. Obviously I had to buy a pound of them. When I found that I could only eat 3/4 lb, I had to decide the fate of the last 1/4 lb. 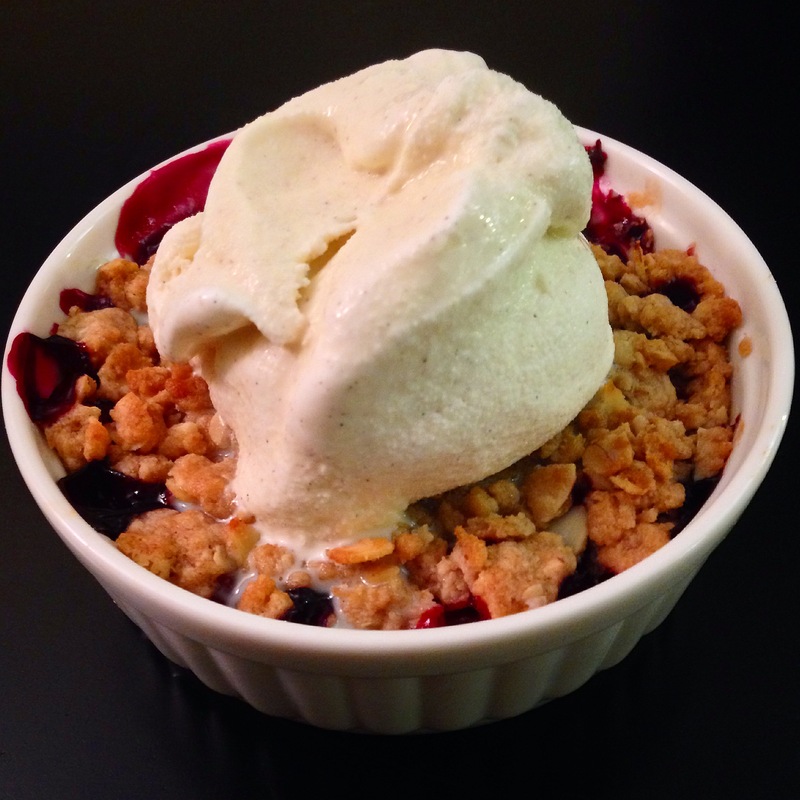 Tart Cherry Cobbler it is! Next, I started making the crumble topping. I’m not exactly sure on measurements for this one, so bear with me. I had set aside the butter earlier so that it would be pliable at room temp. I tossed about 2 tbsp of the butter in a bowl along with about 1/3 cup flour, 2-3 tbsp brown sugar, and 2=3 tbsp oats. The consistency you should get is crumbly… if thats not what you’re getting, just slowly add more flour and/or oats. Once this reaches a crumbly consistency, I throw in about a tbsp or two of sliced almonds. Sprinkle about a tsp of flour over the cherry mixture, mix it, and put it in your ramekin. Spoon the crumble topping over it to cover the fruit entirely. Place the ramekin in the oven and set the timer to 25 min. The cobbler should be nice and golden brown when that timer goes off. Resist your temptations and let it cool down for a few minutes before you dig in and melt your mouth off… As a dentist, I must advocate for the well-being of your mouth. after letting it cool off for about 5-7 minutes, get some ice-cream over the top of it and enjoy!